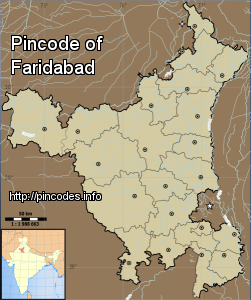 Faridabad is the largest city in the north Indian state of Haryana, in Faridabad district. 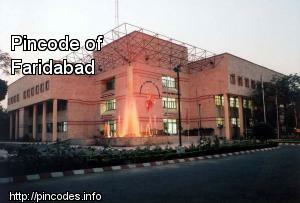 It is a leading industrial center and situated in the National Capital Region bordering the Indian capital New Delhi. It is surrounded by Delhi to its North, Noida to its North East, Greater Noida to its East and Gurgaon to its West. The river Yamuna forms the eastern district boundary with Uttar Pradesh. The newly developed residential and industrial part of Faridabad (Sec. 66 to 89) between the Agra Canal and the Yamuna River is commonly referred as Greater Faridabad. The area is being developed as a self-sustained sub-city with wide roads, tall buildings, malls, educational institutions, and health and commercial centers. Sectors 66 to 74 are Industrial Sectors whereas Sectors 75 to 89 are Residential Sectors. The deceased manager died on the way to the hospital. The teenager who was apprehended by the Central Bureau of Investigation (CBI) in connection with the murder of Ryan International School student Pradyuman has been sent to Faridabad observation home. He will be kept there till November 22, which is also the next date of hearing in the case.